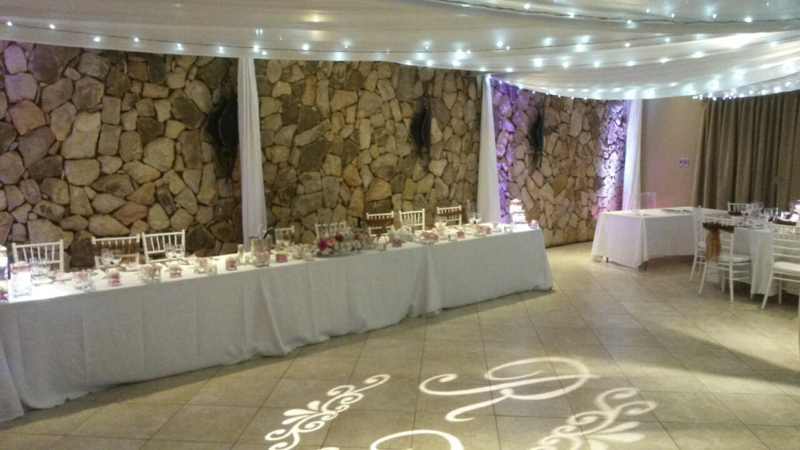 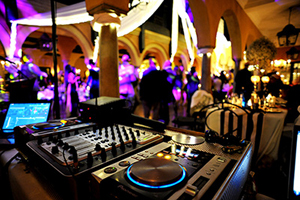 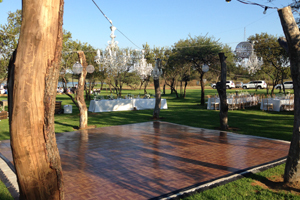 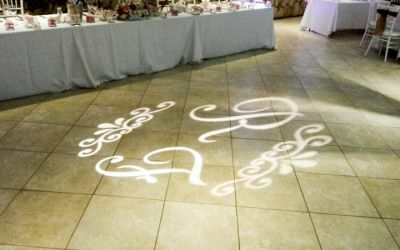 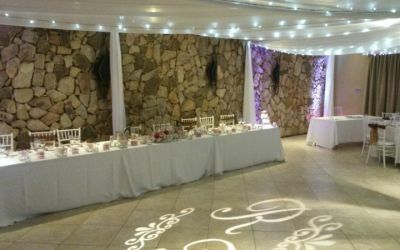 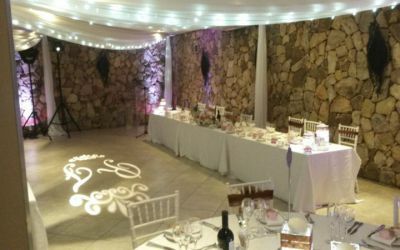 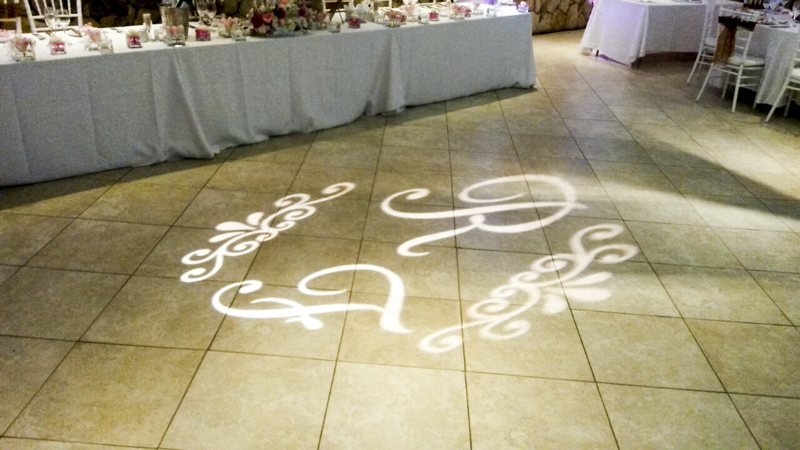 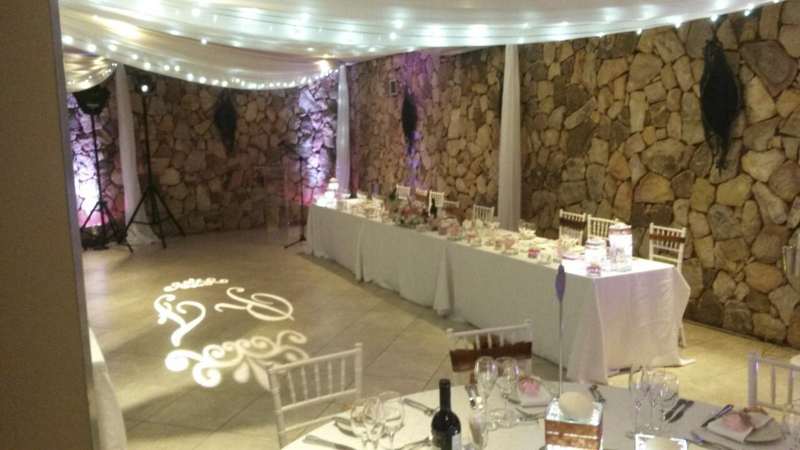 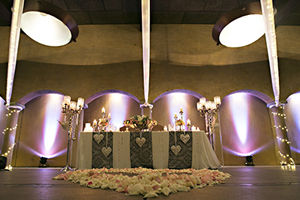 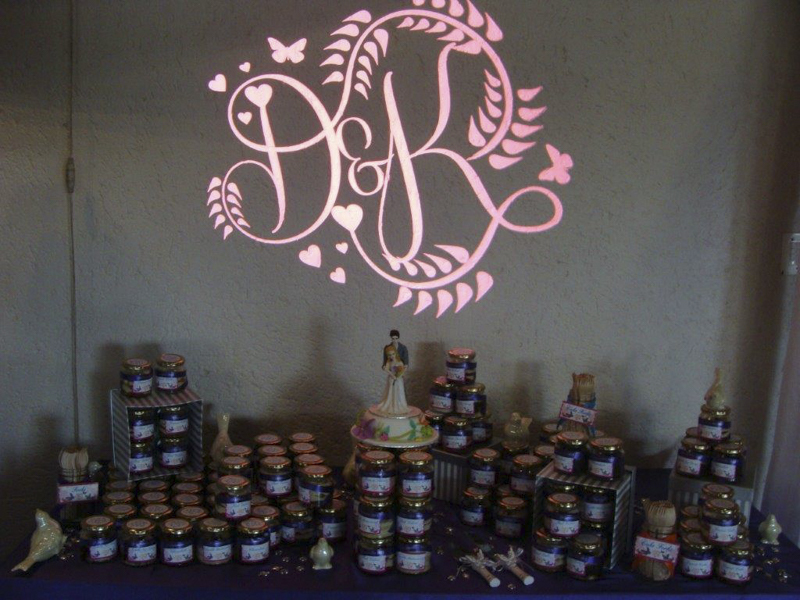 A gobo light contains a round glass disc with a specific design cut into it and then shone onto the dance floor or a wall for the duration of the evening. 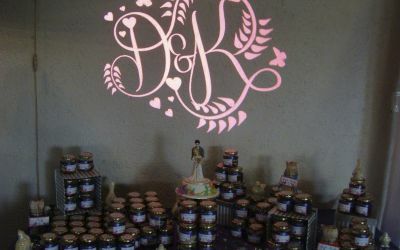 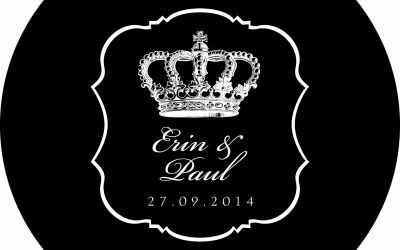 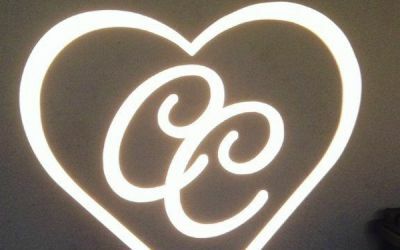 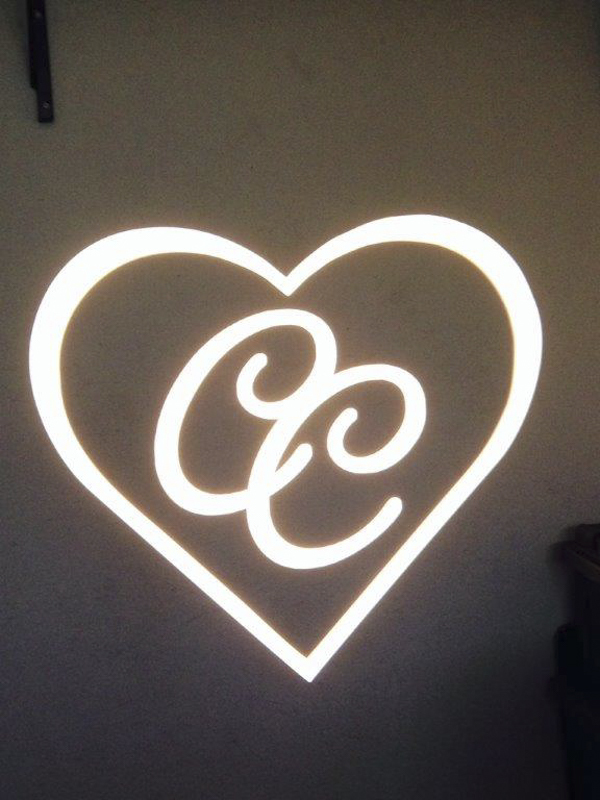 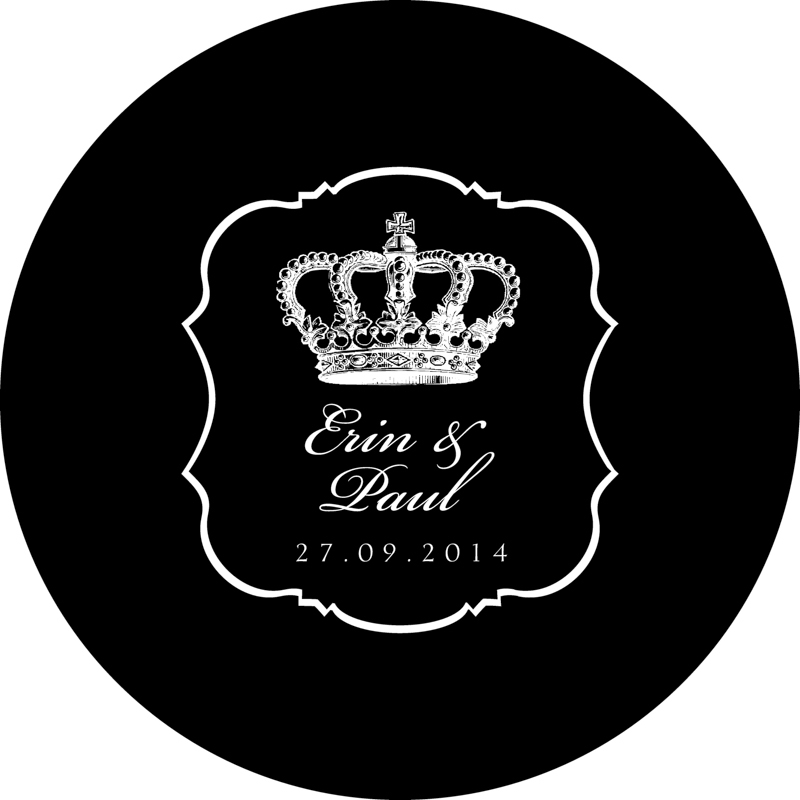 Many couples choose to use the logo from their stationery which is then very personal and continues their wedding theme. 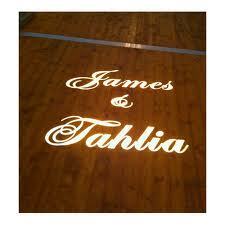 Should you prefer to use one of our many template designs we will gladly send them through to you to have a look at.